What better place to plan a glorious golfing experience than in the Home of Golf itself? Scotland is where the sport of golf was born back in the 15th century. It is known to hold some of the first and most prestigious golf clubs in the entire world and it is where modern golf originated. The area is made up of lands of mountain wildernesses, full of valleys and lakes. This destination is what golfers dream about visiting from afar. Stop dreaming. It is not impossible. See how easily you can now golf at some of the most oldest and prestigious clubs in the world with Golf Packages Philippines. We have partnered up with The chance to make your dream a reality is now right at your fingertips. Immerse yourself in the rich and ancient history of this spectacular country and get in touch with the roots of our admired sport of golf. Read on for more details of the 3 special packages we have put together specially for you! 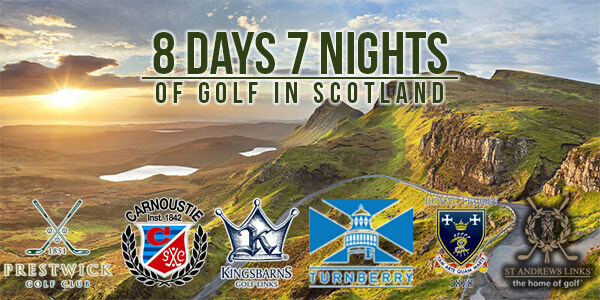 St. Andrews Old Course– With this package, we offer you the chance to play on the famous Old Course by entering the Ballot, which will be drawn ahead of time to reveal who the lucky golfers are. The St. Andrews Old Course is home to the famous “Road Hole” and is referred to as the world’s oldest and also the most iconic golf course in the world. Jack Nicklaus, who is arguably the greatest golfer of all time describes St. Andrews in this way, “I fell in love with it the first day I played it. There’s just no other golf course that is even remotely close.” The Old Course is an 18-hole par 72 course boasting over 7,297 yards. It has hosted the Open Championship 28 times since 1873. During that time, it has become the home of where some of golf’s greatest champions have been discovered. Kingsbarns Links– Ranked number 1 in “Scotland’s Best Golfing Experience” at the Scottish Golf Tourism Awards 2014, this 180hole par 72 course laid over 7,227 yards is easily one that offers some of the most breathtaking views any place, let alone any course, has to offer. With astonishing sights of the ocean and man-made hills, you wouldn’t only gain a memorable golfing experience, but also an even greater appreciation for the creation of our beautiful world. Having been labeled as a somewhat challenging course, it is open to all golfers of any level. Michael Bonnallack couldn’t have said it any better when he expressed his appreciation of the course, ”Mere words cannot convey just how extraordinary the place is. It must be seen to be believed and once seen, it will never be forgotten”. Royal Troon Championship Links- Be sure to bring your A game on this 18-hole par 71 course and don’t skip the caddy, otherwise you’ll be sure to get lost in the hard bouncing fairways and well positioned pot bunkers. This course also known as the Royal Troon Old Course has hosted The Open Championship 8 times and is scheduled to do so once again this year. It’s no wonder why this house has been chosen as it is a challenging test of one’s golfing ability. With the gorse and broom and considering the wind, making accurate shots is necessary! Turnberry Ailsa Championship Links- This 18-hole par 70 course over 7,211 yards has shaped remarkable moments in golf history since the first event was played on it in 1977. This is undoubtedly the most scenic golf course as it is situated on a craggy headland that overlooks the Isle of Arran. Blue relaxing waters everywhere you look has earned this place name of Pebble Beach of Scotland, and makes the location of it unforgettable. The course itself is a less difficult play compared to the aforementioned ones, but will still surely keep you hard at work with the strong breezes and the signature 9th hole that is perched atop a stony ridge along the edge of the sea. 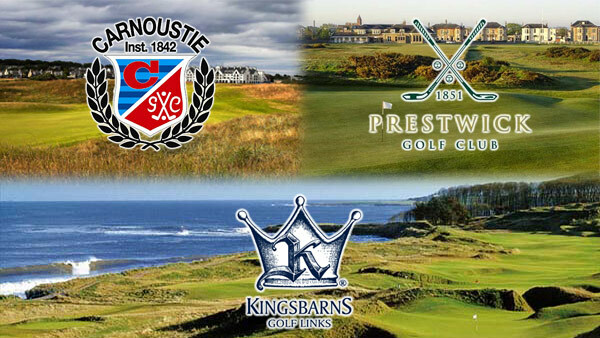 Prestwick Championship Links- Here is one course that is known for being a historic place. It is a must for any player that wants to experience the best of links golf with its blind shots, steeply sloping greens, cavernous bunkers and overall excellent maintenance. The 18-hole par 71 course over 6,544 yards was designed by Old Tom Morris way back in 1851 and until now, still never disappoints. 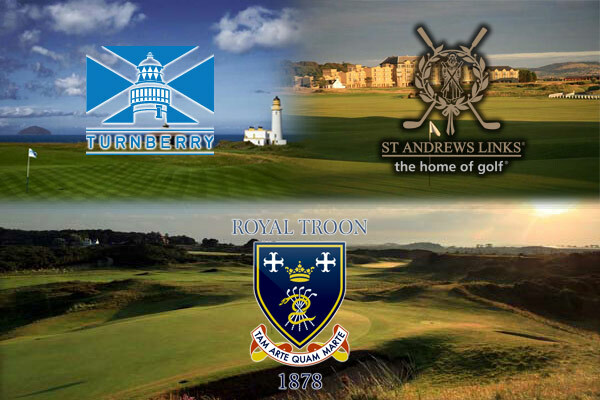 It is famous for being the initial originator and sponsor of The Open Championship. 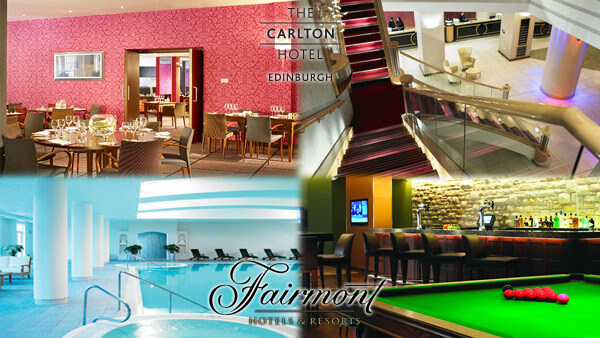 Carlton Hilton, Prestwick is a modern hotel that offers stylish accommodation, innovative dining, and free Wi-Fi to help you keep in touch with family back at home. Enjoy some quiet time out on the terrace, or take a walk around the garden and indulge in it’s peace and tranquility. Laundry service is also available to you at your convenience. It offers excellent facilities to never leave you without something to do! The comfortable and relaxed atmosphere cultivates an enjoyable ambience for your special stay. 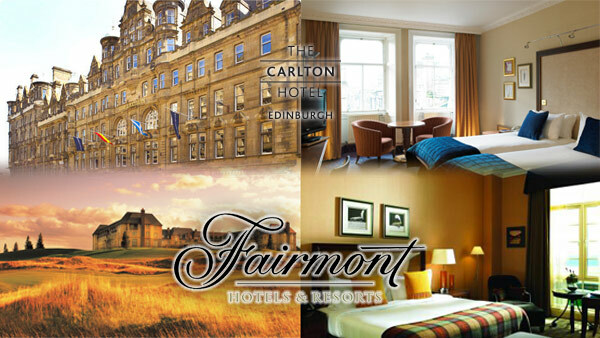 Fairmont St. Andrews Resort is sure to make your trip a treasured memory with it’s first class service and excellent staff that go out of their way to ensure your trip is an enjoyable one. This 5-star resort is complete with a fitness center stocked with equipment from some of the most renowned names in fitness. The 16 meter indoor swimming pool, jacuzzi, sauna, steam-room and snail shower will grant all your relaxing desires without taking a single step out of the hotel. And for the moments you want to lay back and unwind, their spacious and Scottish inspired rooms bring you great comfort with their soft duvet bed covers and a Nespresso coffee machine in each room. Getting to Edinburg/ Glasgow airport with minimal stopovers will be a breeze with all the options you have to choose from. Several different airlines including Philippine Airlines, China Southern, KLM, and Etihad can take you there and back. You can also fly via multiple airlines. Upon arrival at Edinburg or Glasgow, Meet & Greet service and transfer to St. Andrews will be there to assist you. HOW DO I GET A UK VISA? Step 2: Bring all necessary requirements to scheduled appointment. f) 1 recent photograph (not more than 6 months old). If you have any additional questions or want to book this exciting package, email us at inquiries@golfpackages.ph and we’ll be happy to get right back to you.